Congratulations to Rev. Paul Denney, above with him mum Betty after the celebrations. 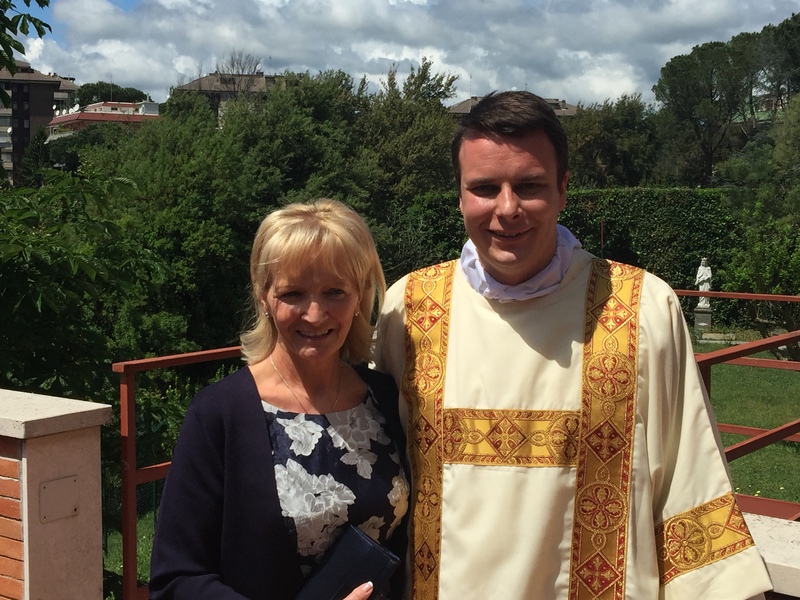 Paul was ordained Deacon this morning by Bishop Toal in the Scots College, Rome. We wish Paul every happiness and blessing in Diaconate ministry on his journey towards priesthood.